UPDATE: This screening is now SOLD OUT. Sorry to anyone who wanted to go and didn’t get their tickets in time! Howdy! Senior Writer Jason Heller here. Just wanted to let you know that Fantastique, The A.V. 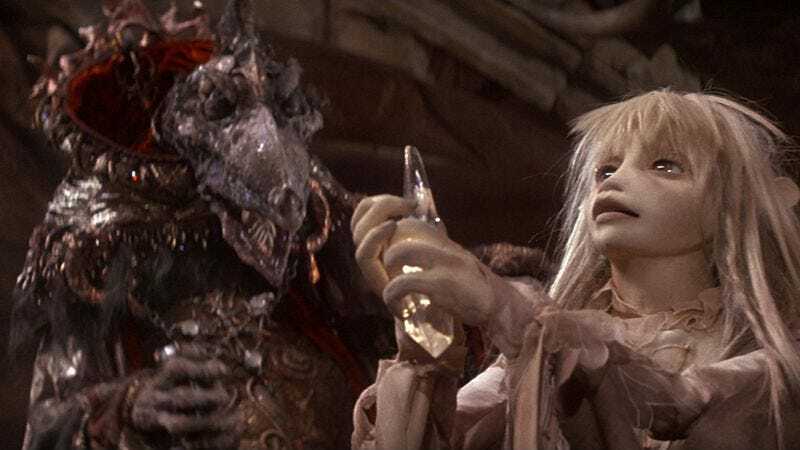 Club’s monthly fantasy film series, continues tonight in Denver at Alamo Drafthouse Cinema with The Dark Crystal. Released in 1982, The Dark Crystal imagines world called Thra in which the gentle Gelflings Jen and Kira become caught up in a quest that threatens the villainous Skeksis’ tyrannical power over their planet. Directed by Jim Henson and Frank Oz, the film’s intricate animatronics and lush design remain some of the most beloved in fantasy cinema, and if you’ve never seen it on the big screen in 35mm, here’s your chance. Like Science Friction, Fantastique’s sister series at Alamo that focuses on science fiction films, Fantastique is curated and hosted by yours truly. I’ll be there tonight in person to introduce The Dark Crystal and to pick the winner of this month’s giveaway: a copy of Faeries’ Tales, the latest hardcover coffee-table book by renowned artists Brian and Wendy Froud, both of whom worked on The Dark Crystal. I’ll also be giving away a pass to MileHiCon, Denver’s oldest and largest science fiction/fantasy convention, which will take place October 23-25. Like all Fantastique and Science Friction screenings, this event is sponsored by The A.V. Club. Tickets for The Dark Crystal are on sale now. By the way, I’ll be pulling double duty at Alamo Drafthouse tonight: Immediately after to The Dark Crystal, I’ll be hosting a screening of the new punk documentary The Damned: Don’t You Wish That We Were Dead at 10 p.m. (also sponsored by The A.V. Club). So come on down and laugh at my social exhaustion!